Woolworths Juniors Rd 1 Goes Off !! WOOLWORTHS STATE TITLES Round 1. Presented by Canoe n Surf Devonport ( medallions 1st 2nd 3rd.) and southern legend Michael Lawrence ( autographed books) and Woolworths Shoreline (apples, bananas, pears). Results and first pics. Two days of competition at Clifton Beach and Wedge for the U12,14,16,18,21 juniors proved a resounding success despite the stormy forecast with gale for winds. Both locations provided good but challenging surf across the weekend from .5 to 2.5 metres. Many thanks to Head Judge Johnno Nordstrom, volunteer judges, tallier Jill Britton, water safety parents, SABR, and those who assisted to transport and set up/ pack up the event gear at the two locations. A great community effort again. WIN TV filmed a segment for their Saturday evening news and The Mercury cover the U21 semis for a story in Monday's Mercury. 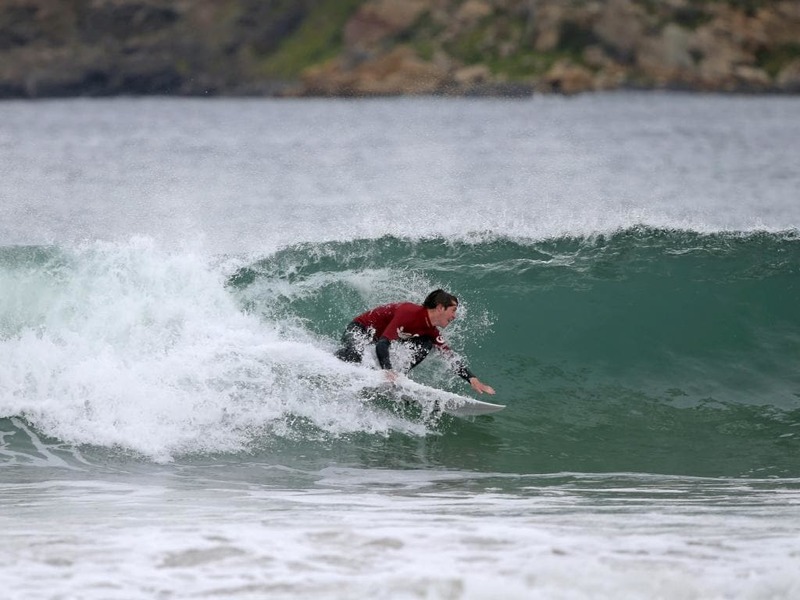 The next events are: Bicheno Challenge for SUPs/Longboards Nov. 24/25 and the Nudie ABB BRC Teams Challenge at Clifton/Sth Arm Dec. 15th.